Kong Company has a variety of toys. 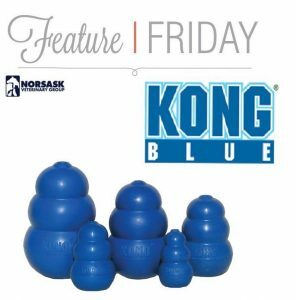 Kong Blue’s are 25% stronger than regular Kong toys! It’s now being used by powerful chewers around the world like police K-9 teams, drug enforcement and military K-9 teams, AKC competition trainers and more. This Blue line comes in 5 sizes from small to king size, check out the Kong website for a size recommendation for you. Puncture resistant, super bouncy and chewer friendly, resilient, durable, and bouncy, satisfies a dog’s natural need to chew. Cleans teeth and conditions gums. Thick, flexible walls that keep springing back for more! Non-toxic, nonabrasive, non-splintering, and does not get sharp when chewed. Recommended by veterinarians, trainers, dog professionals and satisfied customers worldwide. These Kongs become even more fun when treats are added such a peanut butter, canned dog food or any combination of food your pet loves. Remember added treats add calories to keep things interesting by using healthy treats like vegetables. Check out more kong toys at https://www.kongcompany.com.